The Florida dog bite statute creates an owner’s absolute liability for any injury that results from a dog attack on another person. The owner is therefore 100 percent liable for any injury for knock down or dog bite. There use to be a saying that every dog was entitled it’s first bite, but in Florida, there is no free bite rule. 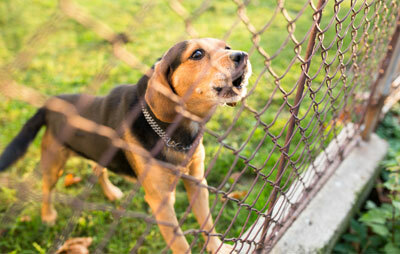 You are not required to prove an owner’s awareness a dog’s tendency to bite in order to recover damages. Have you or your child been bitten by a dog? Or has an elderly loved one been knocked down by an aggressive out-of-control animal? Injury trial attorney David A. Simpson of the Simpson Law Firm can helps victims seek the fair monetary compensation needed to pay for present and future medical care and to remedy any lasting physical or psychological injuries endured. The Simpson Law Firm offers a free consultation in these type of cases, so contact us today. Our own David A. Simpson is a member of the Delta Society. The Society supports the training of dogs as therapy animals for seniors, the disabled and children with serious or terminal illnesses. He understands that dogs properly trained and handled by conscientious owners make fantastic companions. Our firm takes pride the ability to hold negligent or careless dog owners accountable in cases of serious dog bite injuries that result in permanent physical scars and emotional trauma. On your family’s behalf, we will passionately pursue justice in wrongful death claims arising out of a fatal dog mauling. Are you a resident or visitor to the Florida Panhandle who has been seriously injury in an animal attack like a dog bite, knockdown or mauling? Get with a lawyer with a strong track record in these types of cases. Contact Attorney David Simpson today for a free consult. contact us or call now (850) 863-7777.